Does China’s New State Secret Regulation Mean Anything? China’s new rules regarding state secrets are meant to boost government transparency. But will they? China’s state media reported over the weekend that the State Council has released new guidance on the handling of state secrets, a notoriously vague concept that has been used as a catch-all for any information that could paint the Party in a negative light. A Chinese-language version of the official document ran in the People’s Daily. A Xinhua report, reprinted in the English-language publication China Daily, noted that the changes were “an effort to boost government transparency.” The new rules, signed by Premier Li Keqiang, are set to go into effect on March 1. Certainly, China’s definition of state secrets has vexed outside observers for year. A 2007 report by Human Rights in China called state secret laws “a complex, opaque system that controls the classification of—and criminalizes the disclosure or possession of—state secrets.” The report noted that the uncertainty regarding state secret laws contributed to a critical delay in reporting on the SARS outbreak in 2003 and the 2005 explosion of a petrochemical plant in Jilin, which polluted the Songhun River. Environmental activists, reporters, and businesspeople (with one of the most famous cases involving the 2009 arrest of an Australian executive for the mining firm Rio Tinto) have all been prosecuted for leaking state secrets. Like China’s censorship laws, the beauty of its state secret regulations lies precisely in their vagueness. There are no clear rules about what is or isn’t a state secret, which encourages actors (whether journalists, executives, or activists) to err on the side of caution and not reveal any potentially sensitive information. Unfortunately, the State Council’s new rules don’t do anything to address this vagueness. The new order told government agencies not to “define as a state secret information which by law ought to be public.” Yet, despite its length, the rules didn’t clarify what types of information “ought to be public,” providing little extra guidance. Further, the rules said that “the scope of what is secret should be adjusted in a timely manner according to changes in the situation,” which could obviously mean either loosening or restricting the flow of information at the government’s will. Even the official China Daily report, despite its hopeful note that the move was aimed at boosting transparency, seemed more concerned with protecting (and the punishments for violating) state secrets. That report noted specific rules on labeling and destroyed state secret carriers Officials were also warned that any potential leaks must be reported within 24 hours. The Wall Street Journal’s China Real Time Report also noted that the report warned that officials who publicize state secrets will be punished—which, combined with the continuing vagueness of what is classified as a state secret, is likely to prevent rather than encouraging the flow of information. 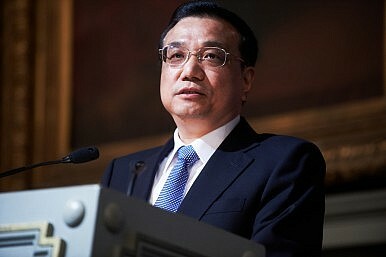 Premier Li Keqiang gets an update on the government's investigation into the August blasts in Tianjin.